If the tribunal has ordered the winding up of the company order. If the tribunal is of the opinion that it is equitable, then that company have to wound up. If it is proved to the satisfaction of the tribunal in which the company is unable to pay its debts and while determining and whether a company is unable to pay its debts, the tribunal may take into account the prospective liabilities of the company. In a case falling under clause( c) of sub-section (1) of section 271 by the central government or state government. A secured creditor, the holder of any debentures, whether or not any trustee or trustees have been appointed in respect of such and other like debentures, and the trustee for the holder of debentures shall be deemed to be creditors within the meaning of clause(b) of sub-section(1). A contributory can be entitled to present a petition for winding up of a company, he may be a holder of a fully paid up shares or the company may have no assets at all or may have no surplus assets left for the distribution among the shareholders after the satisfaction of its liabilities and shares with respect of which he is a contributory or some of them are originally allotted to him or been held by him and registered in his name for a period of six months during the eighteen months immediately before the commencement of winding up or devolved him through the death of a former holder. The registrar shall be entitled to present a petition for winding up under sub-section (1) on any of the grounds specified in sub-section (1) of section 271, except on the grounds specified in clause (b), clause (d) or clause (g) of that sub-section. The registrar would not present a petition on the ground that the company is unable to pay its debts unless it appears to him either from the financial condition of the company which is disclosed in its balance sheet or from the report of an inspector appointed under section 210 that the company is unable to pay its debts. A petition which is presented by the company for winding up before the tribunal will be admitted only if accompanied by a statement of affairs in such form and in a manner as may be prescribed. Before a petition for winding up of a company presented by a contingent or prospective creditor is admitted, the leave of the tribunal shall be obtained for the admission of the petition and such leave shall not be granted, unless in the opinion of the tribunal there is a prima facie case for the winding up of the company and until such security for costs has been given as the tribunal thinks reasonable. A copy of the petition made under this section shall also be filed with the registrar and the registrar shall, without prejudice to any other provisions, submit his views to the tribunal within sixty days of receipt of such petition. Provided further that before appointing a provisional liquidator under clause (c), the tribunal shall give notice to the company and afford a reasonable opportunity to it to make its representations, if any, unless, for a special reason to be recorded in writing, the Tribunal thinks fit to dispense with such notice. Provided also that the tribunal shall not refuse to make a winding-up order on the ground only that the assets of the company have been mortgaged for an amount equal to or in excess of those assets, or that the company has no assets. A petition is presented on the ground that it is just and equitable that a company should be wound up, the tribunal may refuse to make an order of winding up, if it may be an opinion that some other remedy is available to the petitioners and they are acting unreasonably in seeking to have a company wound up instead of pursuing the other remedy. Provided further, that the tribunal may direct the petitioner to deposit such security for costs as it may consider reasonable as a precondition to issuing directions to the company. A company which fails to file a statement of affairs that has been referred in the sub-section (1) shall forfeit the right to oppose the petition and such officers and directors of the company may found responsible for such non-compliance, which would be liable for punishment under sub-section (4). The other officers and the directors of the company in respect of which an order for winding up is passed by the tribunal under the clause (d) of sub-section (1) of section 273 within a period of thirty days of such orders have to submit at the cost of the company, the books of account of the company completed and audited up to the date of order to such a liquidator in a manner prescribed by the tribunal. If any officer or director of the company contravenes the provisions of this section, the officer or director of the company who is in default have to be punishable with the imprisonment for a term that may extend to six months or with fine which should not be less than twenty-five thousand rupees but that also may extend up to five lakh rupees, or with both. The complaint may be filed on behalf before the special court by the registrar, company liquidator, provisional liquidator or any person who is authorized by the tribunal. 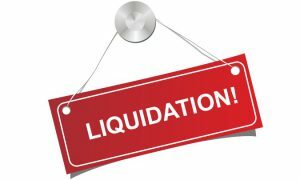 For the purposes of winding up of a company by the tribunal, the tribunal at the time of the passing of the order of winding up shall appoint an official liquidator or a liquidator from the panel maintained under sub-section(2) as the company liquidator. The company or the provisional liquidator, as the case may be, will be appointed from a panel which is maintained by the central government consisting of the names of advocates, company secretaries, chartered accountants, cost accountants or firms or bodies corporate having such company secretaries, advocates and other professionals as may be notified by the central government or from a firm or a body corporate of persons having a combinations of such professions as may be prescribed and having at least ten years of experience in company matters. 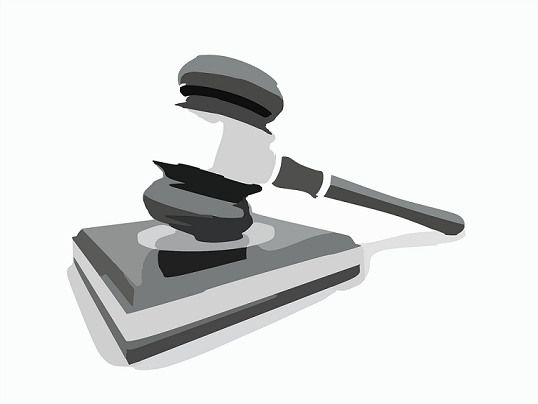 If a provisional liquidator is appointed by the tribunal, the tribunal can restrict or limit his powers by the order appointing him or it or by a subsequent order, but otherwise, he may have the same power as liquidator. The central government may remove the name of any person or firm or body corporate from the panel maintained under sub-section (2) on the grounds of misconduct, misfeasance, and fraud, breach of duties or professional incompetence. The central government before removing him or it from the panel should give him or it will be a reasonable opportunity of being heard. The conditions and the terms of the appointment of a provisional liquidator and the fee which is payable to him or it may be specified by the tribunal on the basis of the task that is required to be performed, qualification of such liquidator, experience and size of the company. The appointment of a provisional liquidator or a company liquidator as the case may be, such one has to file a declaration within seven days from the date of appointment in a prescribed form discloses the lack of independence or disclosing the conflict in respect of his appointment, if any, with the obligation and the tribunal, will continue throughout the term of his appointment. 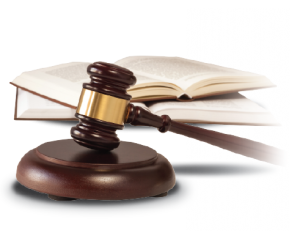 When passing a winding-up order, the tribunal may appoint a provisional liquidator, if appointed under the sub-section (1) of section 273 in clause( c), being a liquidator of a company for the conduct of proceedings in order to wind up a company.